Obscurity might be the theme of this week’s old and rare whisky tasting, although ‘high-octane’ might be another, equally apt, way to categorise it. For this flight, Angus MacRaild has lined up three old examples of higher-strength malt whiskies, all bottled in the 1970s and 1980s, and all demonstrating that ‘cask strength’ wasn’t an entirely new commercial concept in Scotland at the time. It should also be noted that these whiskies represent – with the exception of the Macallan bottling – some excellent old-style drams at the more affordable end of the price spectrum. As MacRaild often argues, there are still some very tasty, worthwhile old bottles out there if you have some patience and dig deep enough. 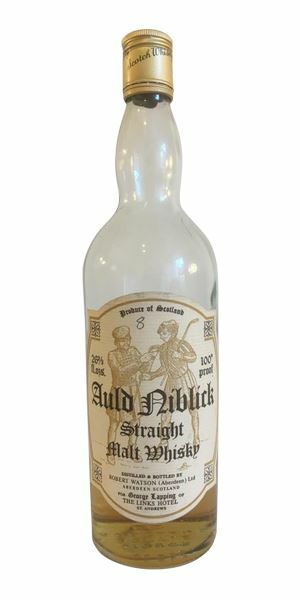 First up is probably the most obscure bottling, an Auld Niblick straight malt whisky bottled by Robert Watson of Aberdeen in the early 1970s at 100 proof (57.1% abv). Watson was known for bottling whiskies from such distilleries as Glen Grant and Balvenie at around this time – leading MacRaild to wonder if this is indeed a blended malt or an obscure single example from one of Watson’s key distilleries. 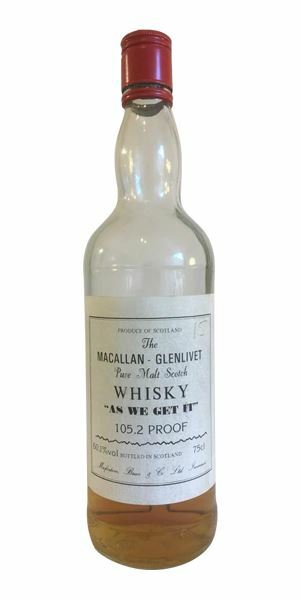 Following that is an old example of Macallan from the fondly regarded ‘As We Get It’ series, bottled in the early 1980s by original brand owner MacFarlane, Bruce & Co. of Inverness. 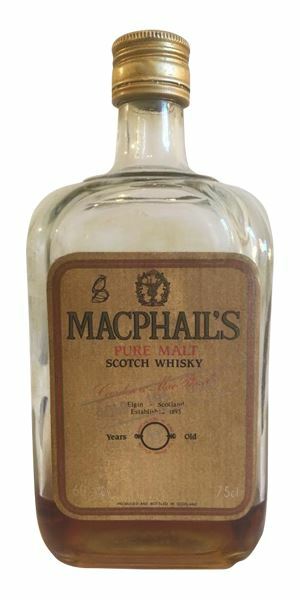 MacRaild finds this a fascinating example of older-style Macallan, wearing a much lighter cloak of Sherry than usual, which helps to reveal the wonderful textural and fatty qualities of the distillate. To round things off, MacRaild finds a 10-year-old MacPhail’s 106 to be the high flyer in this session: a superb, powerful, yet wonderfully balanced old-style Sherry monster of a dram. The perfect example of why it is often worth keeping an eye on auctions. Hot and punchy, as expected. Lots of white flowers, chalk, flinty smoke-flecked minerals, limestone, churned butter and carbon paper. Unsurprisingly, this is rather austere, potent stuff. Dry, clean, somewhat ‘intellectual’ and generally impenetrable. Water is pretty much obligatory here... lots of cornflour, toasted sunflower seeds and a lick of hessian. Also more meadow flowers and grassy notes. Gets really rather lovely with water. Far more accessible than on the nose. Some crisp cereals, more wax, a touch of buttered brown toast with a scraping of honey, and some warm heather ale. Rather typical old-style, young Speyside malt whisky from this era. A touch of barley sweetness keeps things approachable, although there is also a threatening porridge-y old bottle effect note lingering around an olfactory corner somewhere. With water: gooseberry jam, elderflower cordial and cider apples. Far fresher and livelier with water – lots of white stone fruits, white flowers, minerals and cereals. Moreish stuff! Good length and nicely drying on cereal, toast, salted butter and a few bunches of dried herbs. A single twist of lemon peel hiding in the aftertaste. Whether this was a ‘pure’ (blended) malt at the time, or a way for Robert Watson to bottle some Glen Grant or Balvenie they weren’t legally allowed to name, we’ll never know. It feels to me like a blended malt, though. Nevertheless, it’s an excellent example of just how characterful and good these old-style malt whiskies could be at younger ages without the need for much wood influence. A very fun bottling if you can find it. Sneaking a hip flask into a fourth-year single honours Classics exam. A big, sweet stodge of molten caramel wafer, trodden bracken, barley sugar, lanolin, burnt raisins and salted dark chocolate. The sort of aroma that suggests you could stand a rather sturdy spoon up in the glass. Goes on with toffee, pears baked in Calvados, caramelised Muscovado sugar and a slight suggestion of old Demerara rum. Water intensifies this rummy quality and adds orange oils, lemon barley water and caramelised oatmeal. Again this superb combination of natural sweetness and distillate density conspire to make it both oily and syrupy at the same time. Notes of pipe tobacco, leaf mulch, a glimmer of rancio and roasted chestnuts. Some chocolate limes, sultana-heavy trail mix and ginger cake. After dilution, this leafiness expands into earthy territories with sage stuffing, a touch of pine sap and some rather dense sooty aspects. Long, earthy, mineral, resinous and full of dry, dark fruits, dusty malt and bitter chocolate. This is a very curious old Macallan. There are undeniable Sherry-influenced aspects, but these are in perfect balance with the youthful, vigorous and hugely ‘fat’ Macallan distillate – the kind of distillate on which a behemoth of a brand was eventually built. Obscure wee bottlings such as this one offer a fascinating glimpse between the Sherry-drenched curtains of Macallan’s history. A superbly leathery Sherry, riddled with sticky, thick slices of Dundee and Guinness cake. Lots of wild strawberry, walnut wine, camphor, balsamico and rancio. Also notes of plum wine, various stewed dark fruits, some old brandy, pecan toffee and a background sense of bitter chocolate and damp earthen cellar. Water brings green fruits, mustard seed and a lemony, freshly-laundered linen aroma. Dry, nutty, earthy, super-clean, Sherry-driven malt whisky. The kind of ancient, glorious Sherry casks which seem to be extinct today, sadly. Lots of balsamic, black pepper, damson compôte, red apple, freshly-baked croissant and simmering spices. With water, there’s tamarind, more stewed fruits, banana bread and a little earthy turmeric note. Long, superbly earthy, dense and chocolatey with a dunnagey, hessian quality. A superb Sherried old malt. Not sure how pricey these are nowadays, but I bought this bottle for around £45 at auction about a year ago. Insanely good value whisky and a real plunge into the world of old-school, Sherry-matured malt whisky. Settling down for a night in an ice hotel in Svalbard, or just after a summer plunge in Lagavulin Bay. Either works! 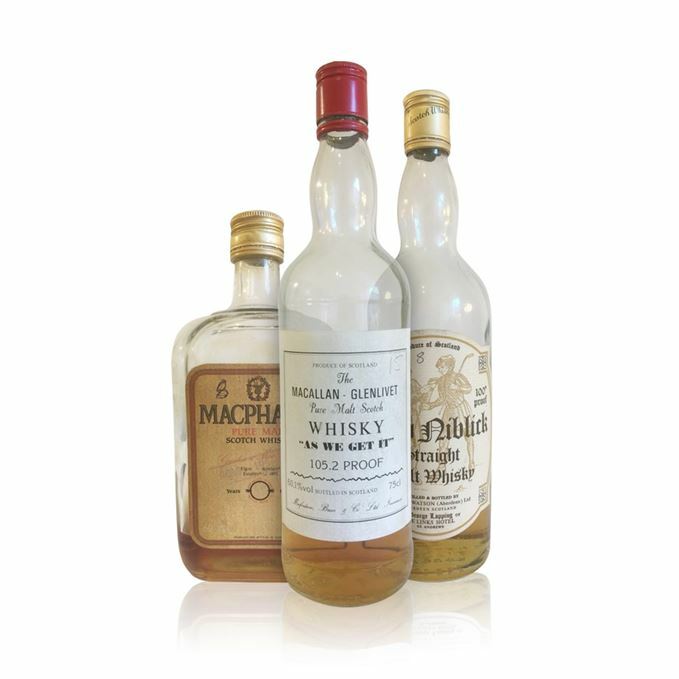 Rare Batch 43 18/07/2018 A trio of Gordon & MacPhail gems distilled around the time of the Second World War. Rare Batch 41 20/06/2018 Three rare Japanese morsels are examined, but not all of these Eastern drams show promise.